At 9:20 a.m. EDT, NASA astronaut Jeff Williams assumed command of the International Space Station from astronaut Tim Kopra of NASA in a traditional Change of Command ceremony. Expedition 48 will officially begin under Williams’ command when the Soyuz spacecraft carrying Kopra, Tim Peake of ESA (European Space Agency) and Russian cosmonaut Yuri Malenchenko undocks from the space station early Saturday morning. Their return will mark the end of 186 days on board the station for the trio. 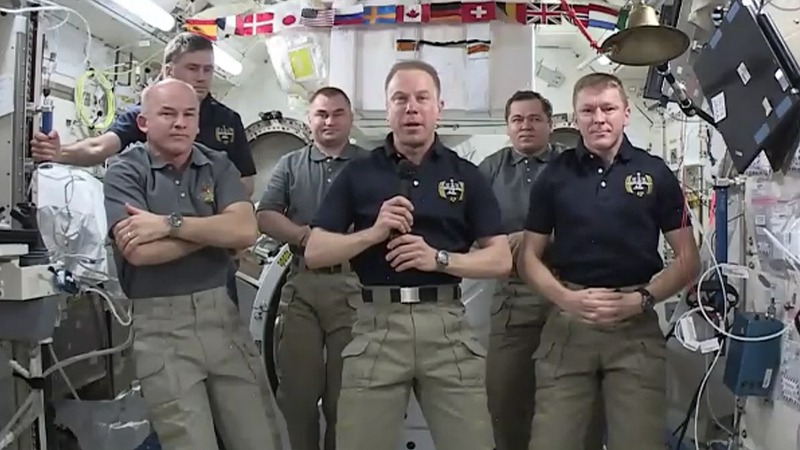 You can follow the crew’s activities in space on social media. Follow space station activities via Twitter, Facebook, and Instagram. To learn more about all the ways to connect and collaborate with NASA, visit: https://www.nasa.gov/connect.